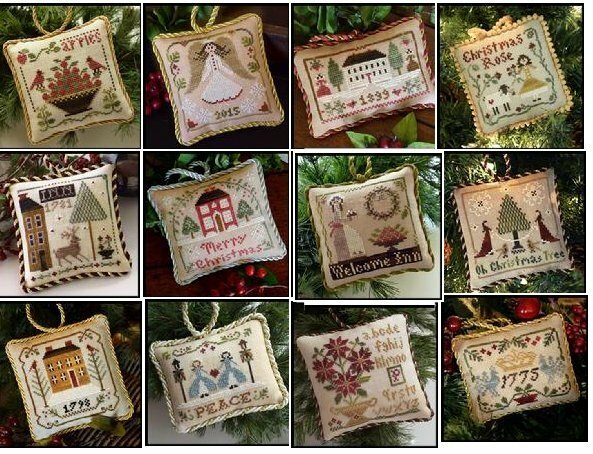 This is the complete 12 patterns series of Little House Needlework 2015 sampler ornaments. Average stitch count is 55 x 55. Most of the threads are used throughout the series.